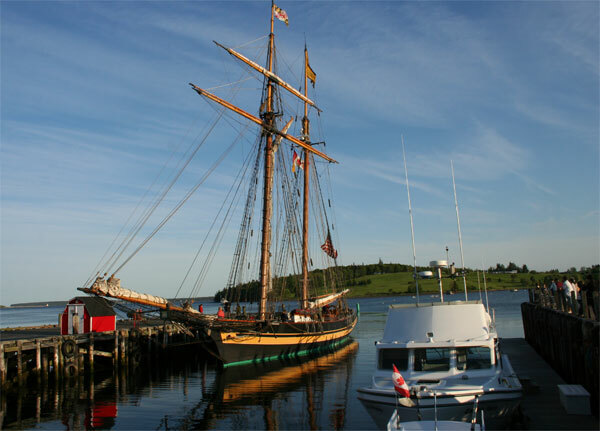 There was a lot of activity around Lunenburg Harbour on Friday evening as the Pride of Baltimore II arrived in port. 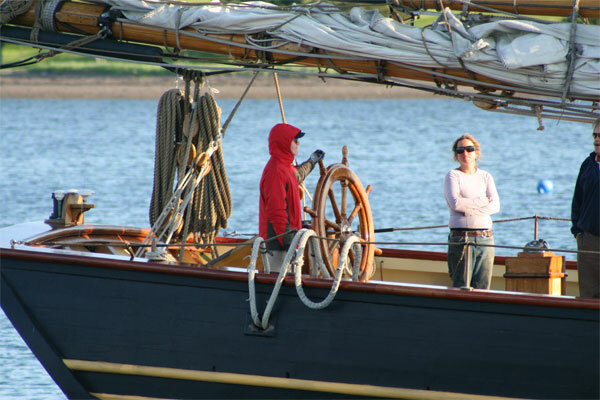 She motored into the Bay, so unfortunately we did not see her under sail. 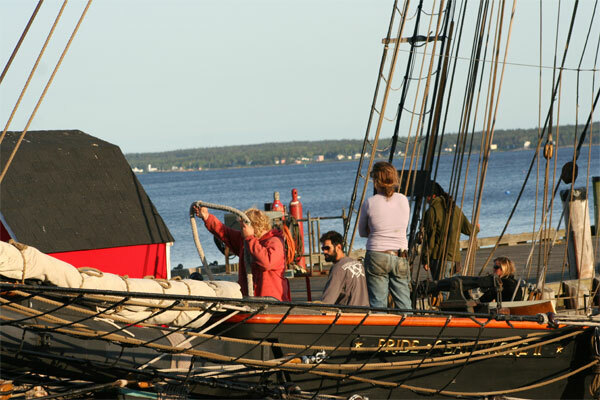 The Pride of Baltimore had left Baltimore on May 29th, travelling to New York and Boston, before arriving in Lunenburg. Her next ports are Rochester, Buffalo and then Detroit. 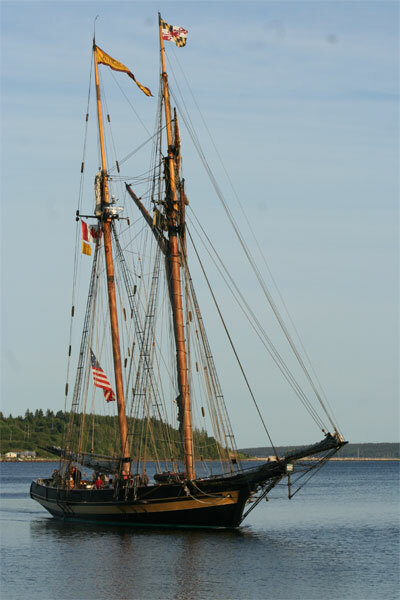 The Pride of Baltimore II is a reproduction of an 1812-era Baltimore Clipper privateer. 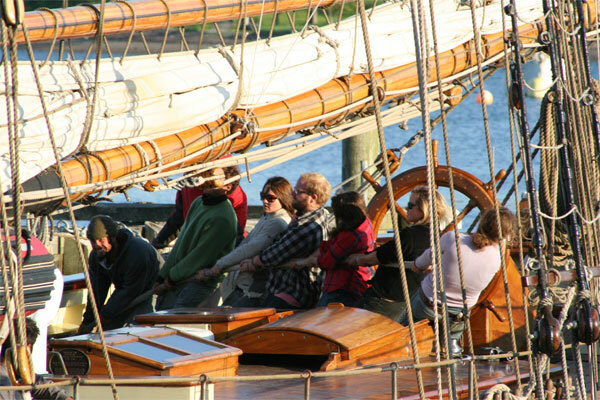 Her mission is to educate the public on Maryland’s maritime history, tradition and commerce opportunities. 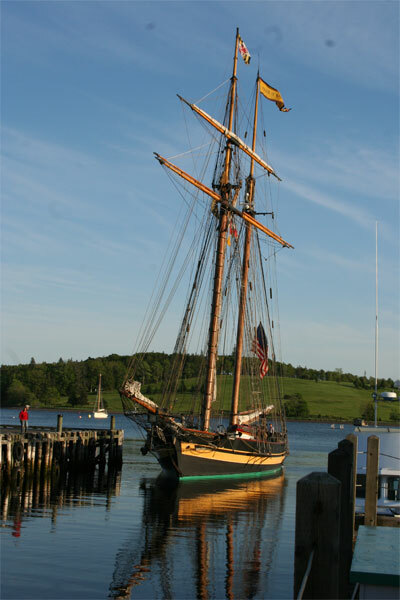 It was a beautiful evening as she edged ino her berth at Lunenburg. ….. and participating in all aspects of life aboard. I did not see the Pride of Baltimore under sail this time, but here is a photograph I took at the Tall ships Festival in 2009. Seeing these tall ships brings me back to my childhood. My step-father would bring me to every ship event in the area, it was a wonderful time. Thanks for sharing. Thank you for visiting my Blog. I just love watching these ships arrive in Lunenburg. It brings life into this little town. Each time there’s a new ship I like to find out where it’s from and where it’s going – it’s exciting! I saw the Tall Ships in Victoria BC a few years ago. I wasn’t there to see them come into the harbour, but it was wonderful to see them lined up along the wharf! Yes, there’s just something that excites me every time I see a tall ship. We went to the Tall Ships at Halifax in 2009 and that was a really amazing day. Thank you for your comments and I’m glad you enjoyed my Blog. I love also tall ships, but living “far away” from sea, I see them very seldom. I enjoyed every photo, but most of all the first one. Also the penultimate photo was lovely when seeing people lifting sails. The Pride of Baltimore is very beautiful sailing ship! Thanks – you photograph churches- and I just can’t resist the traffic that comes in and out of the harbour here in Lunenburg. 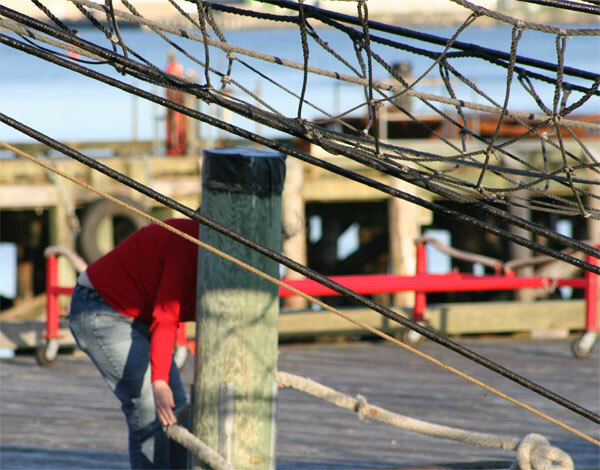 I wonder what will be the next visitor to Lunenburg.